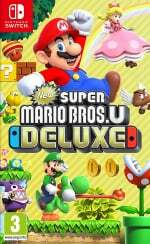 UK chart data is now in for the week ending 19th January, revealing that New Super Mario Bros. U Deluxe has managed to keep hold of its position at the very top of the charts. Mario's latest platforming adventure saw a 43% drop in sales this week (its second week on the market) but that wasn't enough of a drop to lose out on first place. Bandai Namco's Ace Combat 7: Skies Unknown was the big challenger this time around, debuting at number two with the majority of its sales coming on PS4. Elsewhere, last week's new release Tales of Vesperia: Definitive Edition has fallen from its ninth-place debut position to number 32 after a 71% week-on-week sales drop. Did you buy any of these chart-topping games this week? Do you think New Super Mario Bros. U Deluxe will be able to keep number one for a third week? Let us know down below. Two weeks up the top in the UK out of all places for a port of a Wii U game. Good signs for Nintendo. Thank you to my fellow Brits for once again being able to suppress our deep culturally-embedded hatred of Nintendo and putting another Nintendo game at the top of the UK charts... In fact, look, 30% of the top 10 are Nintendo-published games. The government are going to have to step in at this rate. It's ruining our reputation of being the world's premier Nintendo-haters. Releasing this title in the slow period of January definitely seems like a solid strategy when looking at these results. Not a headliner, but a strong title to fill out a usually slow period. As a big Ace Combat Fan I'm just really glad its seen sales success. Of course I can acknowledge NSMBUD's brand and more accessible gameplay helping it stay at the top. I should say I am surprised that Travis Strikes Again is not in the top 10, but I'm not. In fact it's not even in the top 40 according to the Chart Track website. Just comparing physical sales is completely unfair on Ace Combat... obviously the game is mostly cloud based. @tourjeff The biggest release for Switch between now and Yoshi so far is Piranha Plant DLC for Smash. A Direct would be nice. @DanteSolablood man this is so planely punny!!! Btw can anyone confirm with me about the NSMBUD game, when u control using the directional stick on the Joycon, does it gives u 2 speeds of movement for the character? Eg. moving the D stick slightly right makes Mario walk, while moving the D stick more right makes Mario run.. I've said it before - I guess, given my lackluster presence here - and I'll say it again: rehashing NSMBU wasn't a wise move. The only way I could tolerate it ("tolerate" as in, well, not getting mad... it's not like I have any power over this whatsoever) was releasing it after a Super Mario Maker port, especially given how important to it the online component is, and given how many players are expressing displeasure with the service (myself included: my "whoa-ho" when updating the NES Online on Switch was very flat and sarcastic). Thing is, I'm not even sure Maker is going to happen this time around. I mean, it was teased as a possibility before the Wii U's failure made Nintendo realize it was a threshold situation. Now the Switch is selling like hotcakes, so seeing Maker getting released after NSMBU would definitely be the lesser of two evils. And I fear it might also be the least likely one. A direct would be nice, if I recall I had to wait December to August before I got a release from Nintendo I was interested in, during 2018. Let's hope that January til June is not so dry this year! Is it me or does this year seem dry for releases on the Switch? @DannyBoi As far as I know Nintendo are releasing Animal Crossing, Yoshi, Luigi's Mansion 3, Fire Emblem and Pokémon. Maybe even Metroid 4 and Bayonetta 3. That's a great release list if true. @Jive_Talking no word from nintendo on that though. @AlexSora89 "Now the Switch is selling like hotcakes, so seeing Maker getting released after NSMBU would definitely be the lesser of two evils." You're right. Releasing NSMBUD was an easier release to handle, especially with the Miiverse features stripped out of it. Mario Maker requires an online infrastructure that the Switch probably doesn't have at present. Nintendo Switch Online is still wading in the water, so I think Mario Maker would be too much for it in its current form. I can see Mario Maker coming later however. It would be silly to NOT have Mario Maker on the Switch. 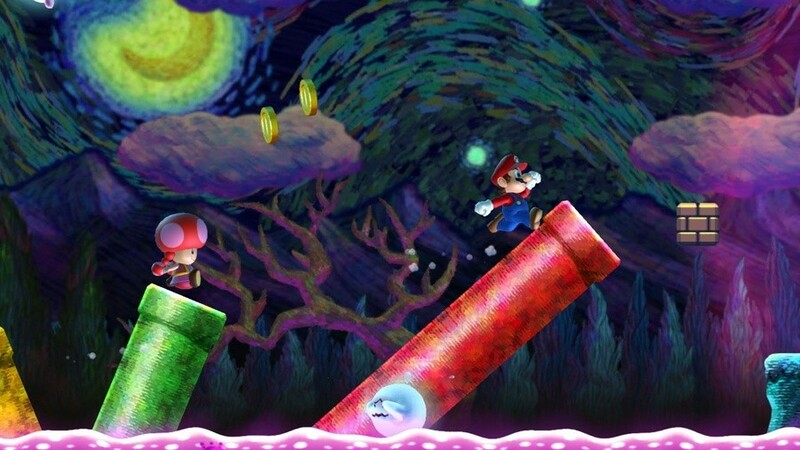 NSMBUD will hold over 2D Mario fans for now since so many missed the Wii U version. Wait until Mario Maker is eventually, inevitably referred to as a "milestone in Nintendo's past legacy" and nothing more. Why giving us the car keys to the Mario leveldesignmobile now that they can afford to keep it to themselves once again? Great to see AceCombat 7 break its sale record - this is the "nostalgia" I care about. There will be a Mario Maker on the Switch. It will make them money. Just makes sense to put out a separate 2D Mario platformer first. If people have access to thousands of user designed levels they might think they don’t want Nintendo’s own. Ace Combat must be really niche if being the fastest seller in its franchise still means selling less than NSMBU DX's Week 2. @Agramonte Were the previous NMH games big sellers and top 10 material in the UK? If so, I would agree with you it smells like a flop. Either way, it's a fun game, got it today. I remember owning the first one. The genre is certainly niche. I also owned Guardian Heroes around the same time. I say this because I ignored the cringe character design and horrible reviews and bought Code of Princess Ex on sale, yesterday. I would play Air/Ace Combat games, exclusively, 24/7, and infinitely before ever playing Code of Princess again. That was a PSA, ladies and gentlemen. I have to assume this is only because the Wii U only sold about 17 units in the country. Problem is, how do you assume they want to release a separate 2D Mario first and not a separate 2D Mario only? Pretty sure the previous NMH games weren't even Top 40 material, much like TSA. Most of TSA sales will be digital, so it will be hard to judge its success/failure solely off of UK retail sales. I’m basing it on 4 million sales of the Wii U version and 2.34 million of the less functional 3DS version. This isn’t like franchises such as F-Zero, Wave Race, Advance Wars it Pilotwings that have been put on the naughty step because of low sales. Mario Maker will make Nintendo money. And they like money. @westman98 Yeah, that's what I thought. It's too early to say that this game is a flop, but it's almost as if some people gets enjoyment out of an eventual failure. Strange, if you ask me. In the end, I think it will do alright. Mario Maker would prove to be especially successful in this day and age. The Switch's large, growing, and highly engaged install base + the massive growth of Twitch/game streaming in general + Nintendo's lift on Youtube restrictions could easily turn Mario Maker on Switch into a 10+ million seller. While Mario Maker Wii U/3DS did sell millions, the Wii U's pitiful install base and the 3DS' limited hardware capabilities (and low engagement for both platforms) prevented Mario Maker from truly taking off. Those shackles have now been lifted. It's up to Nintendo to set it free. Sales numbers are one thing, but compare the two articles I linked to in my first comment. The first is a "maybe", the second is more of a "okay okay fine, you can create Mario levels, but first please buy our console". I’m not sure of the significance of them. They said they might do it then they did it. Despite being on Wii U it shifted 4 million copies. Like Splatoon, Mario Kart 8, Donkey Kong Country Tropical Freeze its sales potential was held back and it could do a lot better on the Switch. @AlexSora89 The smart business decision was to release NSMBUDX before Mario Maker. I (perhaps like you) am not interested in this release in the slightest. I almost beat this (and Luigi U) to 100%. I’ve had my fill. If Mario Maker gets released on the Switch, I (like many people) will buy into that again. If Mario Maker was released first, do you really think NSMBUDX would have these kinds of insane sales figures? Because I certainly don’t think so. Who would want to buy NSMBUDX when they have an almost infinite number of Mario levels to play (regardless of quality difference)? The question I had was, why rereleasing NSMBU at all? Why not merging the hypothetical (HIGHLY hypothetical, at that) Switch Mario Maker with an entirely new NSMB game by making the former an unlockable with the latter? @AlexSora89 I believe the answer to that question is simple - it’s all about money. I’m in the camp that strongly believes Mario Maker will get a Switch sequel (not a re-release/port), but Nintendo are primed to make much more money with 2 releases than incorporating one into the other. I'm hoping for a sequel too, but the fact the first Mario Maker kind of came to be "thanks" to the utterly awful sales of the Wii U - pandering to the modding crowd helped SMM sell, but it was far from a console saver - suggests that game and its 3DS counterpart were a bit of a one-shot deal. I’m still not clear what has led you to this conclusion. Because it’s a quick, cheap way of getting one of their staples on the Switch (see also Mario Kart and Donkey Kong) and will make them lots of money. Because that would mean them throwing away profit from NSMBUDX and then merging two potential future games into one. Financially that makes no sense at all. @Quarth Well more like "not in the top 40" main list (NL only shows the top 10). Not sure, but you would think they like to grow the franchise regardless. @Agramonte It doesn't appear that NMH 1 or 2 were big sellers either and I believe the series has become more of a cult thing than an expected big seller. If I understand it correctly (might be wrong though), Grasshopper Manufacture have downsized the number of employees and the amount of owned capital has went down. Therefore Travis Strikes Again might have been easier to produce than a fullblown NMH3 and a way of seeing if there's still any interest in the series. Smart decision? One can argue about that. But I don't think NMH3 would have sold in huge numbers either, though it probably would be more succesful than TSA. But it not showing in the top 10 or even the top 40 in the UK, doesn't mean it's a flop in the NMH universe. But I might be wrong. Fun game though. @Quarth still hoping NMH3 will see the light of day. Not for me, but Glad you enjoying this one. @Agramonte Yeah, I hope so too. It seems that Nintendo is one of the studio's main publishers nowadays.